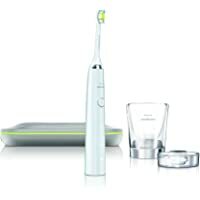 Get Philips Sonicare HX6972/10 FlexCare+ Rechargeable Toothbrush from Superdrug. 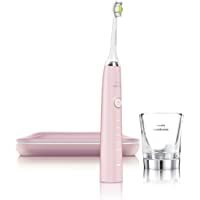 Get Philips HX9361/67 Sonicare DiamondClean Electric Toothbrush (Pink) from Amazon.co.uk. Get Philips Sonicare HX9361/67 DiamondClean Rechargeable Toothbrush from Amazon.co.uk. 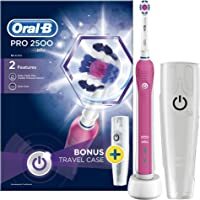 Today only, get Oral-B Pro 2500 3D White Electric Rechargeable Toothbrush with Travel Case Powered by Braun (Pink) from Amazon.co.uk. Get Colgate A1500 ProClinical Rechargeable Electric Toothbrush (White) from Groupon. Get Philips Sonicare HX9331/04 Diamond Clean Electric Toothbrush (White) from Shavers.co.uk. Super Hot! 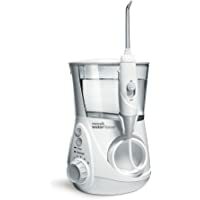 Today only, get Waterpik WP-660UK Ultra Professional Water Flosser from Amazon.co.uk. 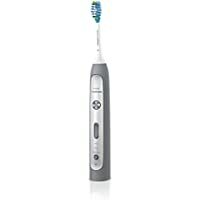 Get Philips HX9111/21 FlexCare Platinum Electric Toothbrush (Platinum) from John Lewis. 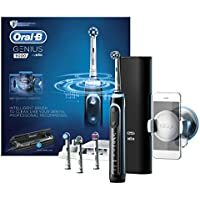 Get Oral-B Genius 9000 Electric Rechargeable Toothbrush (Black) from Amazon.co.uk. Today only, get Oral-B Pro 3000 CrossAction Electric Rechargeable Toothbrush from Amazon.co.uk. 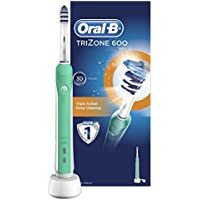 Get Oral-B Trizone 600 Electric Rechargeable Toothbrush Powered from Amazon.co.uk (via BestBuyUk). 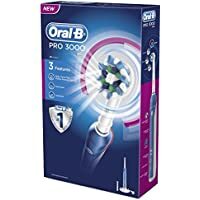 Get Oral-B Pro 4900 Electric Rechargeable Toothbrush Powered by Braun (Black) from Amazon.co.uk. Super Hot! 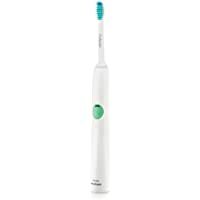 Get Philips Sonicare HX9361/67 DiamondClean Rechargeable Toothbrush from Amazon.co.uk. 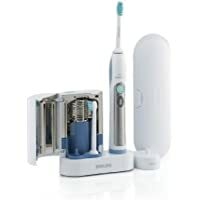 Get Oral-B Pro 600 CrossAction Electric Rechargeable Toothbrush Powered by Braun from Amazon.co.uk. 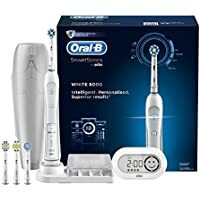 Today only, get Oral-B Smart Series 5000 Electric Rechargeable Toothbrush with Bluetooth Connectivity from Amazon.co.uk. 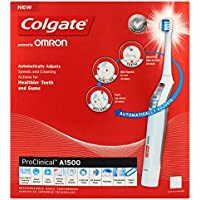 Get Colgate A1500 ProClinical Rechargeable Electric Toothbrush (White) from Amazon.co.uk (via WowDiscounts). Get Philips Sonicare HX9331/04 Diamond Clean Electric Toothbrush (White) from Amazon.co.uk. 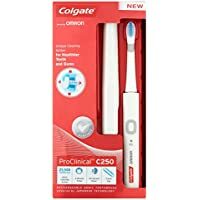 Get Colgate ProClinical Pocket Pro Electric Toothbrush from Amazon.co.uk. Super Hot! Get Philips Sonicare HX9331/04 Diamond Clean Electric Toothbrush (White) from Argos.co.uk. Super Hot! Get Colgate C600 ProClinical Rechargeable Electric Toothbrush (White) from Amazon.co.uk. Get Colgate C600 ProClinical Rechargeable Electric Toothbrush (White) from Amazon.co.uk. Get Philips Sonicare HX6511/50 EasyClean Electric Rechargeable Toothbrush from Amazon.co.uk. Today only, get Braun Oral-B Smart Series 4000 Cross Action Electric Rechargeable Toothbrush from Amazon.co.uk. Discount : £3.00 when you check the box for "Apply £3.00 Voucher"
Price Drop! Get Philips Sonicare HX9361/67 DiamondClean Rechargeable Toothbrush from Amazon.co.uk. Discount : £10.00 when you check the box for "Apply £10.00 Voucher"
Price Drop! Get Philips Sonicare HX9331/04 Diamond Clean Electric Toothbrush (White) from Amazon.co.uk. 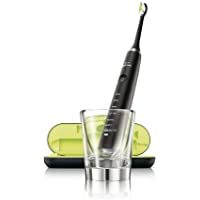 Get Philips Sonicare HX9351/04 DiamondClean Rechargeable Toothbrush (Black) from Amazon.co.uk. Super Hot! Get Colgate A1500 ProClinical Rechargeable Electric Toothbrush (White) from Groupon. Super Hot! 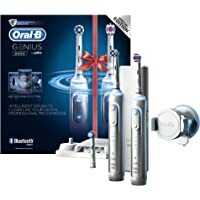 Get Oral-B Genius 9000 Electric Rechargeable Toothbrush (Black) from Amazon.co.uk. Today only, get Oral-B Pro 4900 Electric Rechargeable Toothbrush Powered by Braun (Black) from Amazon.co.uk. Get Philips Sonicare FlexCare Platinum Connected Electric Toothbrush & UV Sanitiser from Amazon.co.uk. 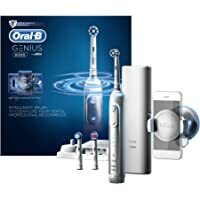 Get Oral-B Genius 8900 Electric Rechargeable Toothbrush (Two Handle Pack) from Amazon.co.uk. 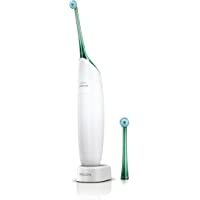 Today only, get Philips Sonicare HX8211 AirFloss Rechargeable Power Flosser from Amazon.co.uk. Get Philips Sonicare HX6911 Flexcare Electric Toothbrush (Black) from Argos.co.uk. Get Braun Oral-B Pro 3000 Electric Rechargeable Toothbrush from Amazon.co.uk. Super Hot! 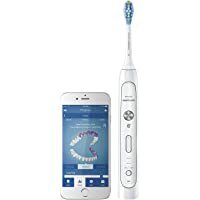 Today only, get Philips Sonicare FlexCare Platinum Connected Electric Toothbrush & UV Sanitiser from Amazon.co.uk. 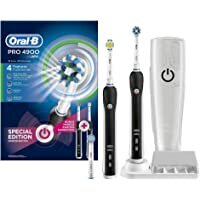 Today only, get Oral-B Pro 4900 Electric Rechargeable Toothbrush (Black) from Amazon.co.uk. 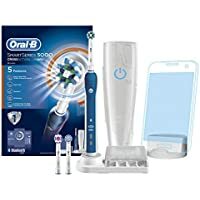 Discount : £5.00 when you check the box for "Apply £5.00 Voucher"
Today only, get Philips Sonicare HX6631/13 3 Series Gum Health Electric Toothbrush from Amazon.co.uk. 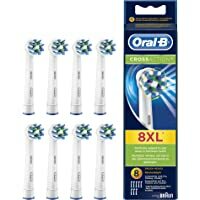 Get 8-Pack Oral-B CrossAction Electric Toothbrush Replacement Heads from Amazon.co.uk. 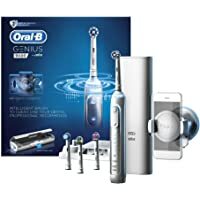 Get Oral-B Genius 9000 Electric Rechargeable Toothbrush from Amazon.co.uk. 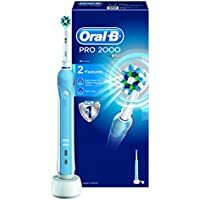 Get Oral-B Pro 2000 CrossAction Electric Rechargeable Toothbrush from Amazon.co.uk. Today only, get Oral-B Genius 8000 Electric Rechargeable Toothbrush from Amazon.co.uk. Get Colgate C600 ProClinical Rechargeable Electric Toothbrush (White) from Groupon. Super Hot! 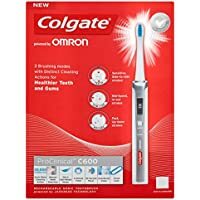 Get Colgate A1500 ProClinical Rechargeable Electric Toothbrush from Amazon.co.uk (via WowDiscounts). 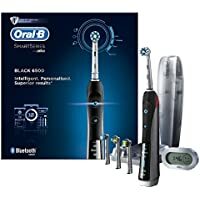 Today only, get Oral-B Smart Series 6500 Electric Rechargeable Toothbrush (Black) from Amazon.co.uk. Get Colgate ProClinical C250 Rechargeable Electric Toothbrush (White) from Amazon.co.uk. 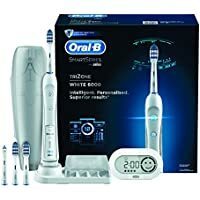 Get Oral-B Genius 8000 Electric Rechargeable Toothbrush from Costco. 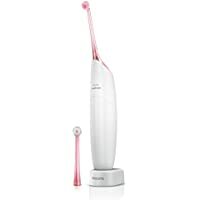 Get Philips Sonicare HX8222/02 Rechargeable Air Flosser - Pink from Amazon.co.uk. 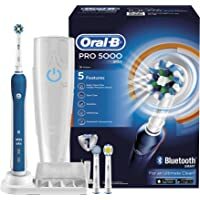 Today only, get Oral-B Pro 6000 Smart Series Electric Rechargeable Toothbrush with Bluetooth Technology from Amazon.co.uk. Amazon Lightning Deal! Get Philips Sonicare HX6511/50 EasyClean Electric Rechargeable Toothbrush from Amazon.co.uk. Price Drop! 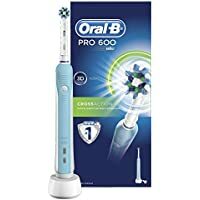 Get Oral-B Pro 5000 Cross Action Electric Rechargeable Toothbrush with Bluetooth Connectivity from Amazon.co.uk. 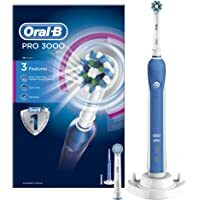 Get Oral-B Pro 3000 CrossAction Electric Rechargeable Toothbrush from Amazon.co.uk. 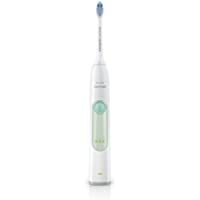 Get Philips Sonicare HX8211 AirFloss Rechargeable Power Flosser from Amazon.co.uk. 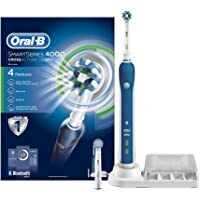 Get Oral-B Pro 6000 Smart Series Electric Rechargeable Toothbrush with Bluetooth Technology from Amazon.co.uk. Get Braun Oral-B Smart Series 4000 Cross Action Electric Rechargeable Toothbrush from Amazon.co.uk.